Home »Sales and Promotions»Be the first in the know about the hottest underwear, swimwear and fashion menswear! Be the first in the know about the hottest underwear, swimwear and fashion menswear! Sign up to our newsletter to be the first in the know about the hottest men’s underwear, swimwear for men, model photos, special offers, discount codes and latest stock arrivals! Subscribe to our newsletter and get personal discount voucher code for 10% off the price from your first order. 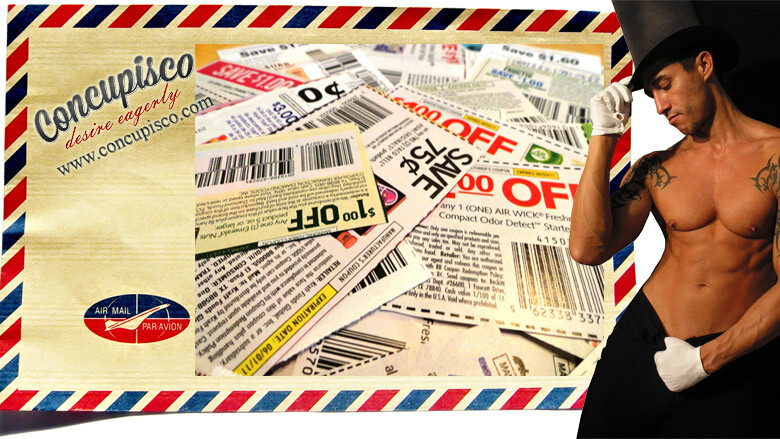 Every week one lucky winner will receive a discount voucher code for 50% off the total amount on the next order at www.concupisco.com with no limit on quantity or selected items. Just use it the way you like. Simply visit www.concupisco.com and subscribe for newsletter. Submit your email into the Email address box located at the bottom of the page and you will be entered into the Lucky Draw. The winner will be randomly selected and notified every Friday. Subscribers enjoy discounts and special offers not found anywhere else! Next → Next post: Black Friday Massive Sale Weekend is ON!